"One of the biggest things I've learned from our most successful agents is that communication is everything. Whether it's communication between agency owners and their staff, or between staff and your customers. My most successful agencies spend time communicating with each other. Daily or weekly training and recaps of their success or opportunities." "Are they using multiple lead sources? How's it going? What ones are working, what ones aren't- and why? Quoting, but not closing- how come? What can be done better? These are constant conversations that agents are having with their teams. In addition to that, it's important that staff members are successfully communicating with current and potential customers. Are they being friendly? Personable? Are they asking proper questions and using their time efficiently? When it comes to lead and call services specifically- what are they doing and saying to help the agency close more business? Constantly providing a good experience to any potential customer is a top priority." "I've learned by working with agents, is that it all comes down to expectations and attitude. Being in the lead and call industry for the past 5 years, I've had more conversations about expectations than I can begin to count. Having the correct expectations when going into any sort of lead service, sales job or life in general can really make a difference! For leads and calls specifically, knowing that every call isn't going to be perfect or result in a sale is the best place to start. Seems obvious, but there are a lot of agents out there who feel otherwise. Agents that know working leads or taking inbound calls is a numbers game- and that they aren't going to close every single one, end up having a much better attitude and ultimately a better success rate. Another piece of advice is to not get discouraged. Agents or staff members who get discouraged after a bad call (or 3) and let those negative feelings fester will end up not taking calls or working leads, or even worse... end up with a continued negative attitude with every potential customer they come into contact with. Stay positive! Every call is a new opportunity to make a difference." Brittni really hit the nail on the head, and brings up a point that is often overlooked. Many of us, myself included, have had those days where you feel like you are on auto-pilot. The problem this causes, especially in sales of any kind, is that your energy comes off to your potential client. If you're coming into the work with a preconceived notion, or bad attitude, your customers will pick up on that. "Today’s agent has it tough. They can no longer obtain business through traditional methods. Here in Seattle, which has a very strong economy, we have watched Sears close and Macy’s just announced they are closing two local stores and now JC Penny’s is also discussing closure. Gone are the days when consumers would drive down to their local insurance office. Today’s agent also must compete with the internet where policies can be obtained with the click of a mouse. We have become a lifeline to many agents because we can make their phones ring in what would otherwise be considered a quiet office. Staffing an office is a never-ending process. Seems like every agent I speak with is understaffed and has an ad for their next hire. They face lots of competition among other agents in the hiring process. Many agents I have worked with have told me they use our program as an incentive when hiring. I have also heard agents use our program for retention. Producers would much rather answer the phone then cold call or door knock so they stay where quality prospects are provided." So yes, while automation and the rise of internet and mobile shopping has affected agencies, attracting talented and passionate individuals is easier when you have a lead or call system in place. Not only that, but with the systems you use, and attracting those with a positive,, an outlook, you are setting yourself up for success in the long run. 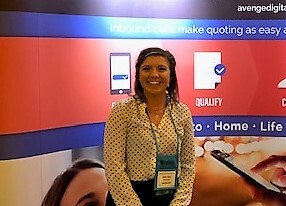 "The most important thing I have learned about agents over the last year is that ultimately the success of an office converting leads or calls boils down to the agent. Our most successful clients have their finger on the pulse of the office. We provide initial and ongoing training, but a successful agent will also stay engaged and continue to mentor and train their staff. They listen to the call recordings we provide to make sure the staff is properly qualifying and closing, not only after signing up, but to check in regular to make sure they are not straying from the program. Successful agents hold weekly staff meetings, training and role-playing sessions. They monitor the Avenge Digital dashboard to see who is converting and not converting calls and have under-performing producers listen to the top performers calls. A successful agent always knows their ROI and CPA without hesitation." Mike brings up probably the best advice I can think of when agency owners reach out to us. 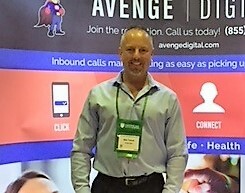 Your marketing team, whether it's Avenge Digital or someone else, is here to help you succeed. We provide opportunity, and do our best to give you the advice you need to succeed. No vendor is a "set it and forget it" model, as you wouldn't run your business that way. Instead of having to waste time chasing down your leads, you can more appropriately allot that time for check-ins, training, and call reviews. 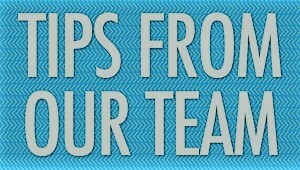 It's amazing how much a team can improve with measurable goals and advice. In our experience, agents who use call recordings with their teams see a faster return on their investment, and have teams who are actively engaged with their clients. Remember, no lead or call source will ever guarantee sales (and if they do, you should run as far away as fast as possible). Our job is to provide you with all the tools you need, and tips that we've seen repeatedly work for some of our most successful agents. Tell us what you think! Any tips for other agents who might be struggling to see the success you see? We want to hear from you!